Hello and welcome to my blog. Today is all about Teachers Gifts. I know it is only August, but the end of the school year will be here before you know it. And if you have senior school students, there year finishes well before everyone else. My children are home schooled now, so I no longer need to do teachers gifts. Oh wait, I am the teacher. Maybe I should give this to myself then! 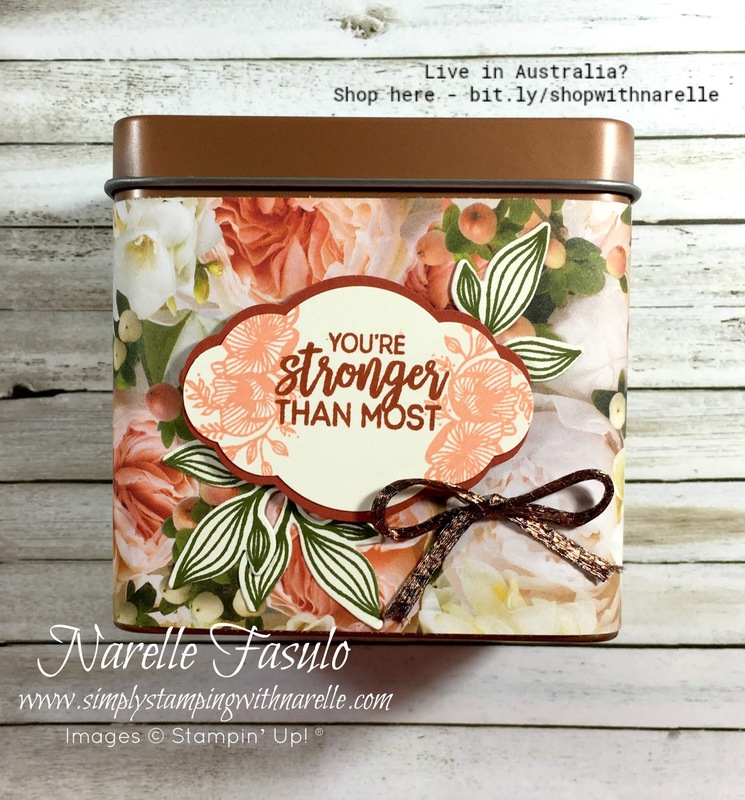 I used our gorgeous new copper tins for this gift. These are so quick and easy to decorate. Just wrap a piece of Designer Series Paper around the tin, then add a sentiment and some embellishments. 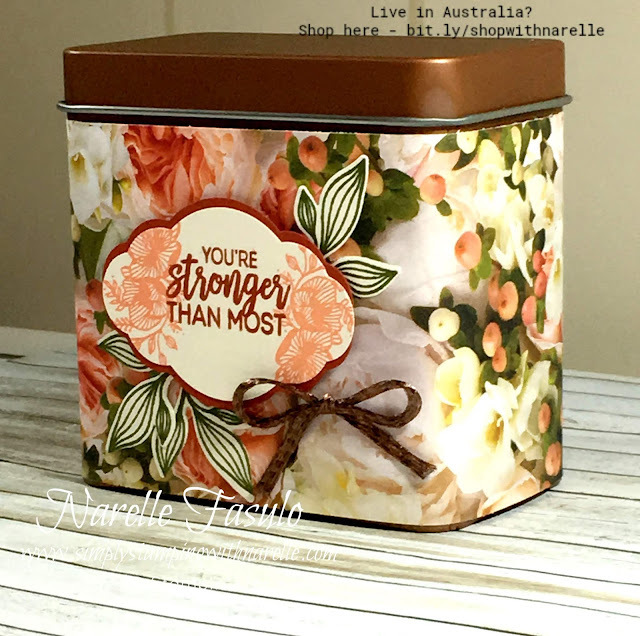 These tins are the perfect size for small gifts and I am sure any teacher would really appreciate the handmade decorations. I made this teachers gift as part of Kylie's International Demonstrator Highlight. You need to hop across to her blog HERE to see an amazing array of other ideas for teachers gifts. You can also vote for my project too while you are there. If you would like to purchase any of the products I have used on todays project, please see the Product List below.